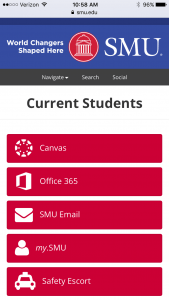 OIT is winding down its SMU Mobile app for iPhone and Android. On February 12, SMU Mobile will no longer appear in app stores and will stop working on February 28, 2018. The app is replaced with an improved Current Students page. This enhancement is in addition to the recent my.SMU upgrade which occurred last summer. The new student page along with the upgrades to my.SMU, provides convenient, mobile-friendly access to many of SMU’s most important online services. 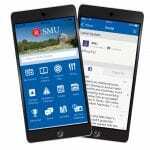 If you currently have the SMU Mobile app installed on your device, it will not be removed automatically; You will have to manually remove the app from your devices.